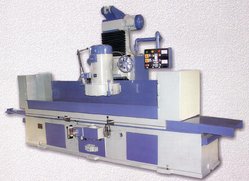 - PVR series machine models are Fully Automatic High Precision Vertical Spindle Rotary Table Surface grinding machines. »: Bed is a single piece high tensile strength casting, heavily ribbed for better vibration damping and shock absorption ensuring rigidity to the machine. »: Precision scraped V & Flat guideways for table with forced feed continuous lubrication. Turcite lining for GVS 40. Our company is highly esteemed firm known for offering Vertical Surface Grinder Machine to our precious customers in Ahmedabad , Gujarat , India. 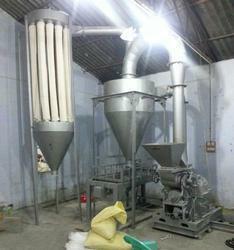 We are actively involved in Exporter, Manufacturer & Supplier wide range of this product. Offered this Vertical Surface Grinder Machine is properly tested on different quality parameters to ensure flawlessness. A combi washing machine for both Ampoules and VialsMachine has six heads and has six washing cyclesManual feeding & collection of the containersIt can deliver a output up to 25 containers/ minute. Our company is widely appreciated by offering Vertical Surface Grinding Machine to the clients. Vertical Surface Grinding Machine is made up by the experts using high quality material and using of advanced technology. This product is provided in various specifications, designs and sizes as the requirement of the clients. We are offering CNC Vertical Universal Grinding Machine to our clients. We are reckoned amongst the clients for offering a wide array of Vertical Surface Grinder. These products are widely demanded by the clients for their precise performance.